by the ticker tape parade. ’cross the ocean far away. and you never see it coming anymore. 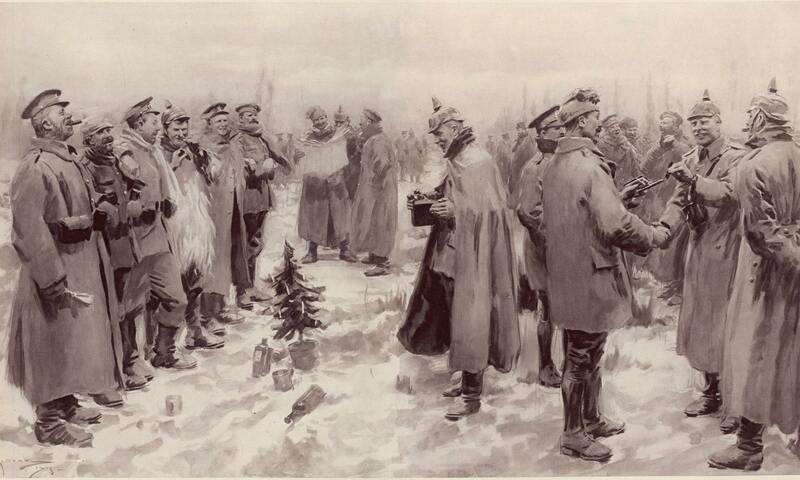 Today is the hundredth anniversary of the World War I Christmas Truce, where a hundred thousand German and Allied soldiers left trenches, ventured into no-man's-land, played football, and sang carols. This year, one of the speakers at the university Carols Services mentioned this fact, and attendees were provided with both English and German lyrics, to sing their choice. The resulting mess didn't have much in the way of distinct words, but the tune was unmistakeable and powerful, and there was something profoundly humbling about singing it in the Memorial Church, erected in honor of the men who gave their lives in that war and the next.